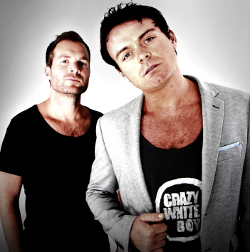 Ryan Murgatroyd a.k.a, the one half of South African music sensation Crazy White Boy, has taken his love of music and turned it into a successful career as a DJ, musician, and now academic and lecturer. Through a unique collaboration between Boston City Campus & Business College and Soul Candi Institute of Music he will now be passing his knowledge and expertise onto a new generation of music makers. Murgatroyd is the content director for the new Digital Music Composition and Production course being offered by Boston. The course which is the only one of its kind in Africa, seamlessly integrates modern music composition with all the latest music production techniques being used by the world’s best hit-making producers. The course, which can be completed full time or part time at any of the following Boston campuses: Johannesburg, Sandton, Umhlanga, East London, Pretoria Arcadia, provides you with the skills you will need to enter the exciting and vibrant life of music production and there can be few better than Murgatroyd, who has been Dj-ing since the age of 15, to put this course together. He says that his music represents a new generation of electronic musicians. There are no instruments or session musicians – the sequencer is his instrument. Murgatroyd has never played a musical instrument nor can he read music but he understood that one cannot forge a career in music – even digital music, without understanding the basics of music theory – so he did his own research which now forms the basis of some of the course material. Despite the changes affecting the global music industry, the South African music industry is still doing well as it remains one of the biggest CD based markets as there is still a lot of emphasis on releasing, buying, owning and playing CD’s. This makes it a fertile ground for music production. He explains that what people do not realise is how big sound and audio are becoming in the highly digital world that we live in. There is an audio component to almost every aspect of digital media, whether it be movies, advertising, radio or television. REGISTRATIONS ARE NOW OPEN at Boston City Campus & Business College Johannesburg and you can contact them on 011 331-2455, course is also available in Pretoria Arcadia, Durban City, Umhlanga, Bloemfontein and East London. Visit www.boston.co.za for more information. The part time course commences this month with enrollments being taken for the full time course. Space is limited so do not wait to enroll. Boston City Campus also offers various convenient payment options where the fees can be paid over either 4, 8 or 10 months.